Upon driving off the SSA ferry you must bear left. At first stop sign turn right; take the next right onto Main Street. The Crocker House Inn is on Crocker Avenue, the third street off Main Street on the right, two blocks from the village. If you are walking, go straight until Main Street, bear right and Crocker Avenue is the second street on the right. Advance auto reservations are necessary. For ferry service from New Bedford and Woods Hole, Massachusetts call the Steamship Authority at (508) 477-8600. 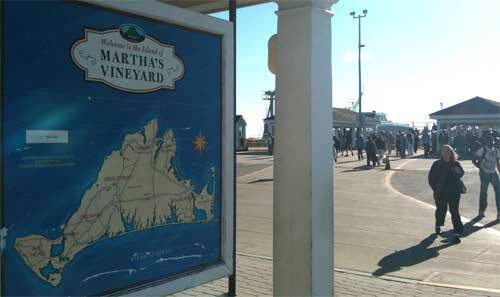 Several airlines offer daily service to Martha's Vineyard (MVOL). Please call us; we are always happy to help you with travel information.